Daniel Jakobs is a qualified master carpenter and construction engineer from Germany. With more than 20 years’ experience in high performance and ecological building, Daniel is the Technical Sales Manager for pro clima in Australia and New Zealand. With an in-depth knowledge of pro clima’s entire international product range and performance characteristics, he is able to develop pragmatic weatherproofing and airtightness solutions for any building type. 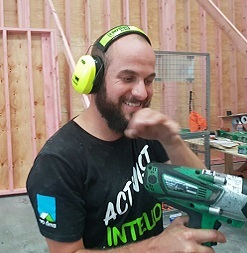 Daniel is also responsible for the practical knowledge transfer and training of builders and tradespeople in Australia and New Zealand, focusing on the pro clima product range but also teaching skills necessary for building structures to world leading Passive House standard. Daniel was instrumental in the construction of the pro clima HUB – Centre for Advanced Building Systems in Auckland, delivering a world class facility. He is a fun-loving guy, boasting one of the best hipster beards in Sydney, who is highly practical. He can fix anything, always with a smile on his face. Jesse Clarke has more than 15 years’ experience in the construction industry. He holds the technical lead role of the Building Science Manager, servicing Australia and New Zealand. Jesse is an active advocate for a holistic approach to the development of industry guidance, standards and codes. As the chairman of the AIRAH special technical group for building envelope physics he is driving standardisation around the use of hygrothermal analysis (WUFI®) for healthier and more durable buildings. 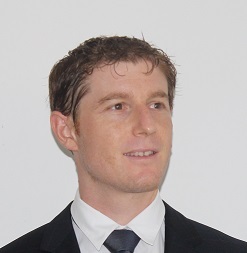 Sean Maxwell is Technical Manager with Pro Clima Australia, a manufacturer of high-performance building membranes and seals. He is a member the AIRAH Special Technical Group in Building Physics and has led trainings in Australia on the Fundamentals of Building Science. Through the U.S. Department of Energy’s Building America program, he has published original research into ventilation and air tightness of high-rise multi-residential buildings. His driving passion is the organization and elevation of Australia and New Zealand’s community of building diagnostic professionals. He leads a partnership between Australia and New Zealand and the global Air Tightness Testing and Measurement Association and is a national authority on the practice of building air tightness testing.